In this era of smart phones, where we depend entirely on smartphones for our basic activities all thorough the day, the only limitation we are bothered by is its battery life. A dead battery is always a cause of worry & just like the proverb goes ‘Necessity is the mother of invention’, we are forced to find ways out of this crisis. Many technologies are being developed to overcome this crisis. One such invention is the solar powered mobile screens, which is still in the developmental phase. With this technology, you can charge your phone in daylight with the help of transparent photovoltaic screens installed in your phones. You must have these 6 most useful Android Apps for your phone, which helps you use your phone more efficiently. Many companies are still trying to develop this technology and bring it to the consumer market. At the Mobile World Congress 2015, the Japanese company, Kyocera exhibited a prototype, which it had developed in partnership with the French company SunPartner Technologies, tapping solar energy to charge mobile batteries. The smartphone developed included a component called Wysips crystals connected to a chip to convert solar energy into power which is then stored in the mobile battery. Wysips(What You See Is Photovoltaic Surface) is a thin, transparent photovoltaic film which gathers energy from the incident light. 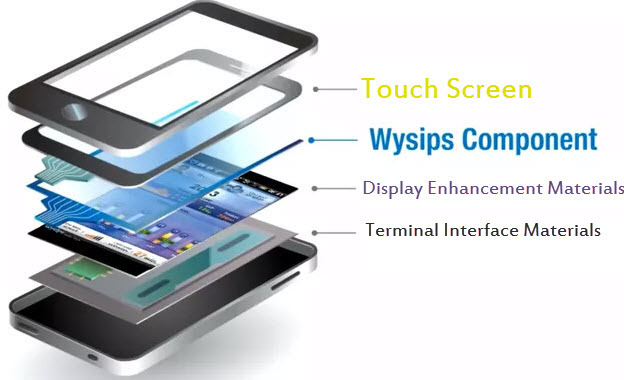 It is placed between the display & the touch screen and does not interfere with the touch screen sensitivity. Although it cannot entirely replace the conventional charging method at the present as it would take too long to completely charge the battery, it surely presents an alternative way of charging your mobile phone while it is still being used. Another breakthrough in this field has been made by the MIT start up, Ubiquitous Energy which has created a transparent coating for turning surfaces into power sources. These surfaces make up transparent solar panelsfor absorbing sun’s UV & IR rays with the surface resembling that of a plain glass. Even this technology is still being nurtured to reach its full potential. Many researchers are still working on transparent solar panels to optimize its output. When completely developed it is bound to create waves in the consumer market by solving the life of battery crisis faced by the mobile users.